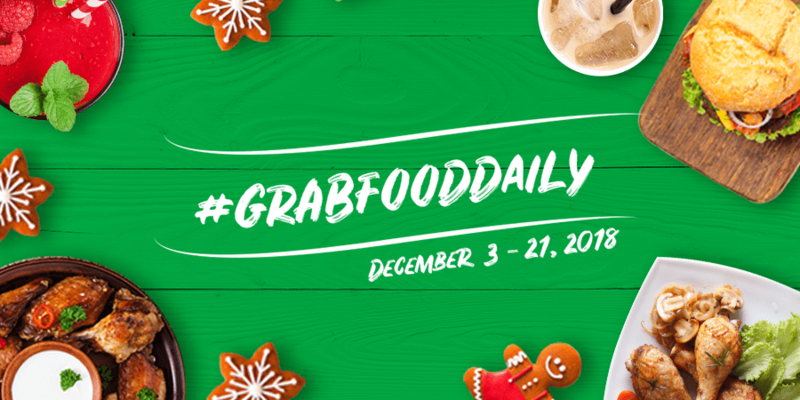 Watch out for #GrabFoodDaily Deals! People who love to eat are the best people.. Milk Tea Mondays – We love Milk tea as much as you do! Get special deals from select milk tea partners every Monday when you book via GrabFood. Chooseday Tuedays – Eaters can participate in a poll thru Grab’s in-app notification by choosing which food they would like to see on sale or have a special deal every Tuesday. Wingsday Wednesdays – Your chicken wings craving will be satisfied every wednesdays! Thirsty Thursdays – Thirsty for more? Get discounts on refreshing drinks every Thursday! Fried-day Fridays – What’s your guilty pleasure? We know you like them fried food. Promo is valid to all GrabFood users in Manila. December 14, 21 – Fried-day Fridays! Offer is only available for deliveries made via GrabFood. Valid for one (1) GrabFood order per promo code.